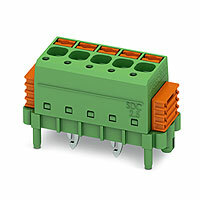 Phoenix Contact is a world leader in electrical connection, electronic interface and industrial automation technologies. 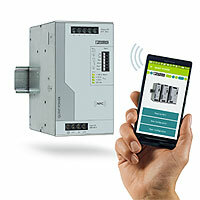 Phoenix Contact offers more than 25,000 Industrial products and introduces dozens of innovations each year. The diverse product range includes terminal blocks, power supplies, signal conditioners and data converters, industrial connectors, transient voltage and surge protection, wireless signal and data transmitters. 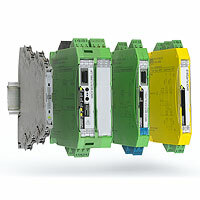 Phoenix Contact also provides comprehensive automation solutions such as industrial PCs, I/O, HMI, software, and Industrial Ethernet. Phoenix Contact products can be found in a multitude of industries including aerospace, automotive, medical & dental, telecommunication and many more. Since 1923, Phoenix Contact has been providing engineers with the tools they need to produce innovative technology solutions. With over 13,000 employees and high industry standards, Phoenix Contact has proven to be a leader in the electrical connector’s space. The different connector types offered include circular connectors, board connectors, industrial and modular connectors.